The medical applications of galangal are in many ways the same as its close relative ginger. It is a bitter herb that is used to promote digestion and stimulate appetite and production of digestive fluids. The herb is therefore used to treat anorexia, indigestion (dyspepsia), colic and stomach ache. 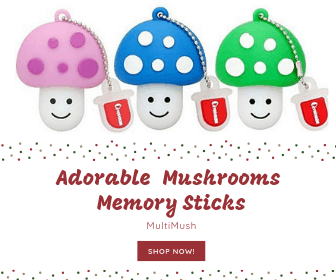 The herb has analgesic (relieving pain) and antipyretic (reducing fever) properties, and it may also help reduce bacterial and fungal infections. The rootstock of galangal has shown an inhibitory effect in vitro on many pathogenic bacteria like anthrax bacillus, hemolytic streptococcus and various strains of Staphylococcus. Galangal is often recommended for motion sickness and morning sickness, an effect that is primarily attributed to ginger. Galangal can also be applied as a treatment for infections of the upper respiratory tract such as chronic bronchitis and cough. An extract of the root is used as a mouthwash and a gargle for mouth ulcers, gum inflammation and other inflammation in the mouth and throat and as a treatment for bad breath (halitosis). In the Middle East, there is a tradition of using the herb as a remedy for rheumatic pains and arthritis. The herb has been used in both Chinese and Ayurvedic medicine since ancient times and still is. 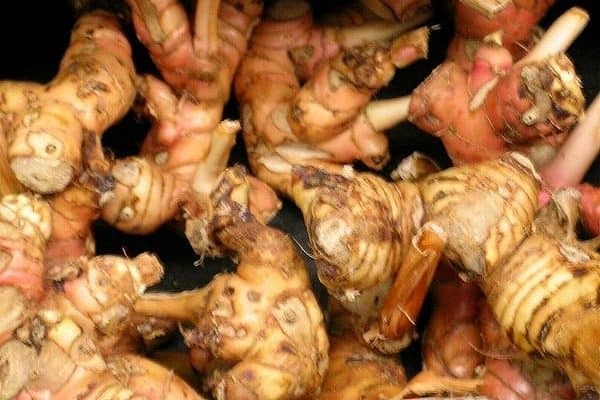 Galangal was first brought from Asia to England and northern Europe in the 13th century by the crusaders and soon became a popular spice as well as medicine. The Medieval mystic Hildegard of Bingen recommended the herb as a tonic for the heart, and called it “the spice of life” and said it was a gift from God meant to keep diseases at bay. Galangal is closely related to languas galanga (Alpinia galanga) and ginger (Zingiber officinale). The herb is highly aromatic and has mild spicy flavor, and it is used extensively in the Indonesian cuisine. It is a basic spice in the Indonesian national dish “nasi goreng,” a rice dish cooked with vegetables, meat, gravy, fruit, and mushrooms. Galangal is used as a seasoning in many types of meat, vegetable, and fish dishes and it’s also an essential ingredient in many spice blends that originate from the Far East. The galangal rhizomes contain volatile oil, methyl cinnamate, eugenol and volatile diarylheptanoids, known as galangol. Furthermore, the plant contains gingerol, flavonoids (galangin, galangin-3-methyl ether, and Kaempferide), starch, tannins, and resins. The fresh or dried roots (rhizomes) are used in herbal medicine. The roots are harvested at the end of the growing season from plants that are 4-6 years old. Galangal root is used as a tincture, a decoction or in powder form and as a medicine, the recommended daily dose of the herb is usually around 6 g.
Lesser galangal, small galangal, galanga, galingale, gargaut, India root, east India root, east India catarrh root, China root, Chinese ginger, Siamese ginger, ginger root, colic root, lille galangarod (Danish), Echter Galgant (German), gao liang jiang (Chinese). Galangal is endemic to Thailand, Vietnam and Southeast China and today it is cultivated on a large scale in many countries in Southeast Asia, primarily in China, Malaysia, Thailand, and India. The flower stems are long, narrow with lanceolate leaves that surround the stem as a sheath. The orchid-like flowers are white with red veins. The fruits are red fleshy berries, the size of peas, that usually contain three dark brown seeds with rather unpleasant taste. Chouni, Anirban & Paul, Santanu. (2017). 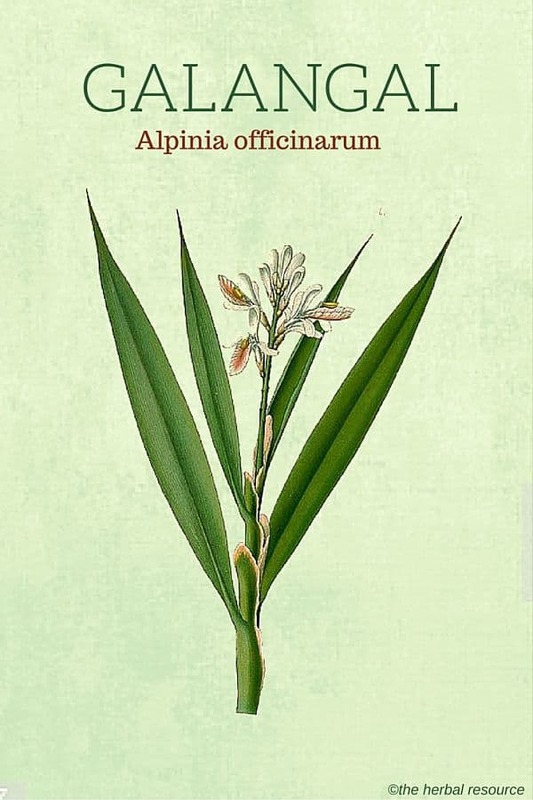 : A Review on Phytochemical and Pharmacological Potential of Alpinia galanga. Pharmacognosy Journal. 10. 09-15. 10.5530/pj.2018.1.2. Clevely, Andi; Katherine Richmond et al. 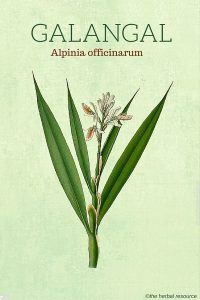 : The Encyclopedia of Herbs and Spices. London, Hermes House 1997.